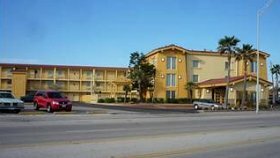 La Quinta Inn Galveston hotel is at the hot spot on the Galveston beach. The throng of all fun activities. La Quinta is on the far east side of the beach. This is a smaller facility with 3 floors and 119 rooms. It gets very crowded here between spring and summer especially on the week ends. This location is perfect for visitors who love noise and continuous activities. It is noisy all time except deep into the night on weekdays. Access to the beach is great. The Stewart beach is within a walking distance from the hotel. Stewart is the busiest beach in Galveston. Beach parking can be very difficult on weekends especially along the seawall. Traffic around here is quite high on weekdays but gets heavier on weekends. La Quinta is well equipped with amenities and an outdoor pool. Some areas of the hotel have a good view of the gulf while others have partial view or none. It would be recommended for visitors to inquire about rooms facing the gulf before booking. The closest attractions are the Galveston Ferry ride and the Strand shopping district. La Quinta is in the midst of many restaurants. Some of them are Cadillac Bar, Nate's restaurant and Dennys restaurant. 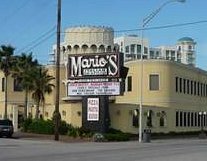 Others like Capital Q barbecue, Bennos Cajun restaurant and Marios Italian Seafood restaurant are within 5 minutes drive.